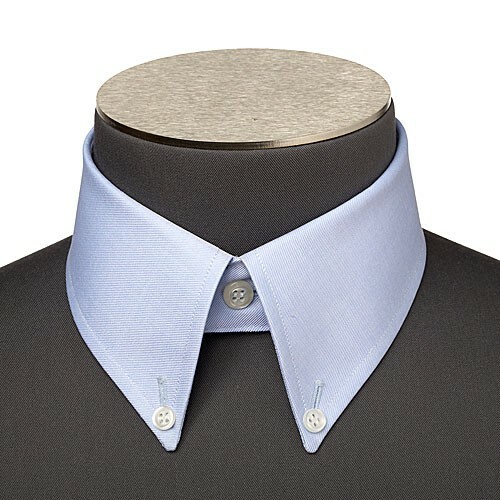 More modern than the American collar, the Polo collar is slightly taller and has longer points. This collar holds its shape very well. Traditionally these button-down collars were designed for polo players, ensuring they were not inconvenienced by the points of their collars when their horses accelerated. Nowadays it is the casual collar of choice. This collar can be worn with a slimmer tie and a more tailored suit. It can also be worn open with jeans or fabric trousers. It is a collar with is easy to wear though not always recommended to those with a longer neck.